The kitchen is arguably the most important room in a home. When new homeowners are looking for a house, the kitchen is often a deciding factor. Kitchens are where families gather for cooking, chatting, socializing, entertaining and reflecting on their days. In short, the kitchen is the heart of the home. Even so, the modern kitchen’s purpose is evolving, and busy homeowners are eager for ways to save time, energy and money. 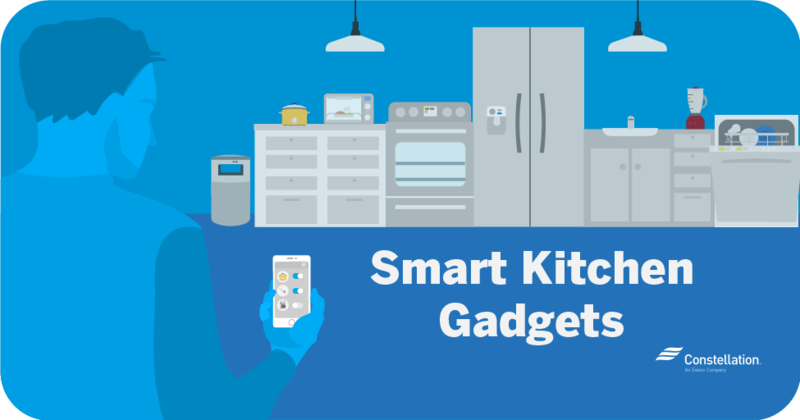 Smart kitchen appliances and the future of cooking are interlinked, and with home-automation technology, connecting your kitchen appliances, lights, thermostat and media allows you to save time and energy and even makes cooking easier. Smart kitchen technology is for everyone, and an energy-efficient kitchen can be accomplished through a few simple changes. So what is a smart kitchen, what makes it smart, and how can it improve your life? A smart kitchen boasts smart kitchen appliances working in direct connection with automated home technology in order to provide efficiency, control and convenience. Smart security systems like Constellation Connect can control your smart-home devices, including those in your kitchen. Smart-home assistants such as Amazon Alexa or Google Assistant can help with tasks like dimming the lights or turning appliances on and off. 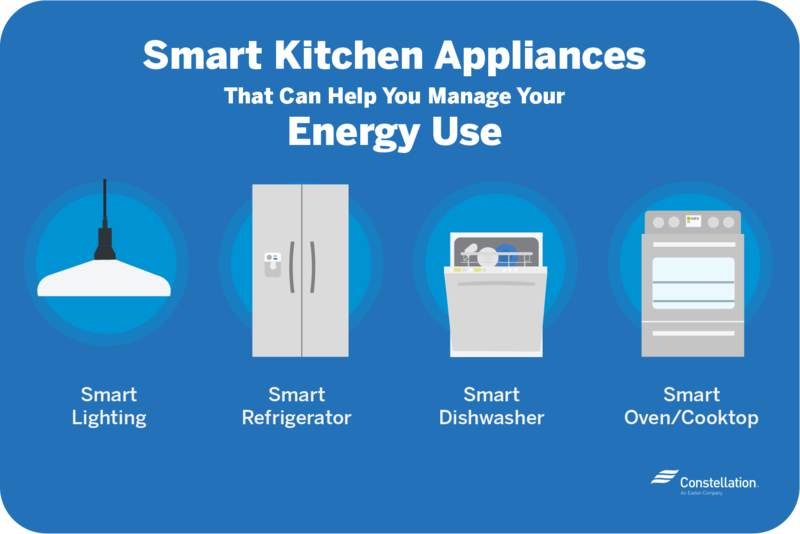 By utilizing energy-saving kitchen appliances and by making informed choices about interconnected technology, homeowners can save energy, water, money and time. In addition, a sophisticated smart security system is one of the best smart-home ideas out there because it monitors and integrates all your smart products into a seamless whole. In today’s busy world, most people have hectic schedules. Mornings fly by in a rush, and in the evenings, making a healthy dinner for one or more people can be challenging. 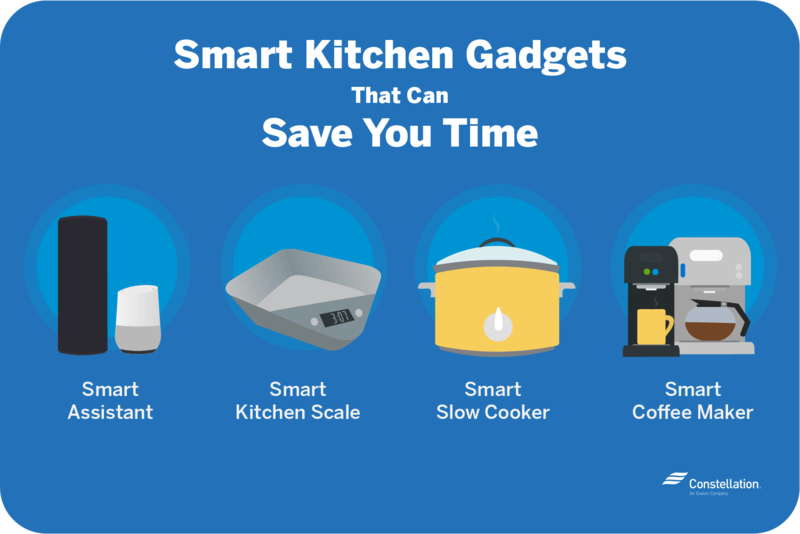 Adding just a few smart kitchen appliances can save time and allow you more control over kitchen routines. Automate your devices with smart-assistant technology for a better kitchen. Smart assistants and voice-assistant devices like Alexa are not space-age concepts. These are practical and accessible tools to help anyone simplify routines, save time and manage energy. With one voice command, homeowners can set off a chain of responses among their connected kitchen appliances and automate their day. Once you take advantage of smart kitchen technology, smart assistants can link to and control any compatible technology in the kitchen and throughout the house. Pro Tip: Homeowners can now use their smart devices to access cookbook apps or recipes online. By taking advantage of smart-device stands, you can save space on the counter and save paper by not printing out recipes. Measure ingredients with a smart kitchen scale for precise recipes. Halving or doubling a recipe is easy with an internet-connected drop scale that monitors the exact measurements of ingredients needed for a recipe. By connecting to an app that pairs with the smart scale, you can add all your ingredients into one bowl without even using measuring cups. When you’ve poured in enough, the gadget will tell you when to stop. If you add too much, many smart kitchen scales adjust the measurements so that you can simply add a little more of the other ingredients to compensate. Use a smart slow cooker to save time and make dinner recipes easy. Using a smart slow cooker saves time when you’re at work, running errands or busy with other tasks. Smart slow cookers can also work in conjunction with smart devices so you can turn the device on and off and adjust the temperature whether you’re at home or not. Smart slow cookers like Instant Pot use pressure-cooking energy efficiency technology and thereby use less power, water and heat. Get a boost when you need it with a smart coffee maker. Whether you need a cup the minute you wake up or you come home in need of a pick-me-up, just say “Brew!” Many smart coffee makers use voice apps and smart-device communication, so you can brew coffee from anywhere. Just tell your coffee maker or your voice assistant to brew coffee, and then you can wake up or come home to a fresh cup. In addition, many types of coffee makers have automatic power down and standby energy-saving features. Time management is always a benefit, but what about saving energy? The Energy Department and the Environmental Protection Agency (EPA) are working together to help build some of the best smart kitchen appliances. Always check the EnergyGuide label on any appliance, as it will inform you of the amount of energy the machine uses. By making smart choices and selecting energy-saving kitchen appliances, you can reduce your energy consumption and save on your electricity bill while helping the environment. Here are some ideas on how to create an energy-efficient kitchen. Using smart lighting can be a fast and easy way to turn your lights on or off, or even to control the brightness – all without touching a single switch. For instance, you can program your kitchen to respond to voice commands like, “Assistant, time to cook!” and all of the lights will turn on. You can even program your smart kitchen so that all lights dim or turn off when not in use. One of the simplest ways to save energy in your kitchen is by switching to energy-efficient lighting. Lights that use less heat use less energy. CFL bulbs are a good choice, but LED light benefits are even more substantial. 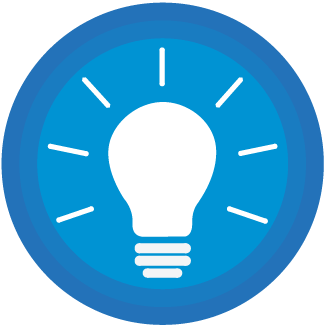 According to Energy.gov, LED lights use 75 percent less energy, last longer and provide better lighting. Pro Tip: Do you keep forgetting to turn off your lights? Use motion sensor lights to save energy whenever your kitchen detects that no one is there. Smart refrigerators are one of the best smart kitchen appliances you can buy, if only for their many amenities. Smart fridges offer a little something for everyone. Some energy-efficient refrigerators feature see-through doors, allowing you to choose your item before opening the fridge and thereby saving energy. 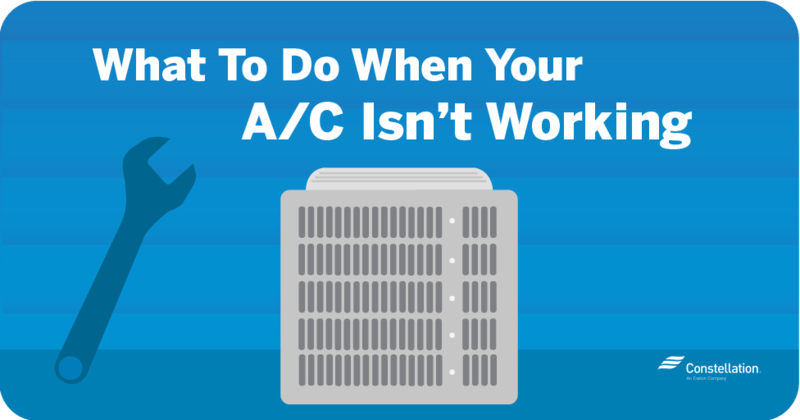 Technology lets you adjust the cooling temperature via any smart device. Built-in cameras inside the refrigerator allow you to manage food expiration and minimize food waste. Grocery management apps can save you a trip to the grocery store and allow you to order food online. Smart technology for the home such as smart fridges can be especially useful for busy parents on the go. If you’re considering energy-saving kitchen appliances, smart dishwashers offer many opportunities to manage energy use. For instance, an energy-saving dishwasher saves an average of 1,000 gallons of water per year when compared with the average dishwasher. Depending on your needs, smart dishwashers are customizable. Some have options like delayed start or adjustable drying times, and you can have cycle notifications sent to any smart device. By using voice assistants, you can monitor your dishwasher whether you’re at home or away, and controlling the appliance remotely will help you to save water and money. By using a smart oven or cooktop, homeowners can turn off, preheat or adjust oven temperature with the tap of their smart device. Energy-efficient ovens can be set to specific temperatures and offer recipes and cooking tips. Like most other smart kitchen appliances, smart ovens and cooktops can be controlled through smartphone apps, Amazon Alexa or a Google home device. Who doesn’t want to simplify their cooking routine? An energy-efficient kitchen can mean easier cooking in less time. 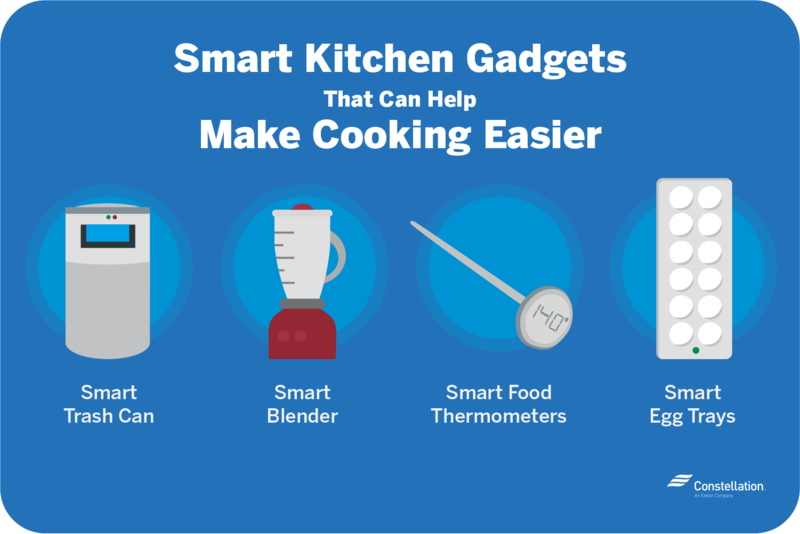 Even leaving aside great smart kitchen appliances like refrigerators and dishwashers, there are many smaller smart kitchen gadgets that make cooking easier and faster and help keep your kitchen clean and your food fresh. Keep your kitchen clean with a smart trash can. Touchless trash cans offer convenience, reliability and cleanliness. Smart trash cans are motion activated and open with a wave of your hand. Many are germ resistant and even provide carbon odor filters and air vents to minimize odors, while clever design prevents garbage liners from collapsing inside and causing a mess. Make fast and nutritious meals with a smart blender. Smart blenders can be activated and controlled using smart devices. They may be used to track weight-loss goals and calculate the nutritional value of smoothies, shakes and other beverages. Smart blenders offer access to recipes and customized shopping lists. These smart kitchen gadgets are a great way to make food on the go more efficient and nutritious. Monitor your food from your smart device with smart food thermometers. Never burn that roast again! Smart food thermometers can inform you of how long food should cook and rest so that you can plan your time accordingly. Maybe you’re cooking several dishes at once while mixing something at the counter. Wireless food thermometers can monitor food temperature from anywhere in the kitchen. If you have a smart assistant, you can ask that device to let you know how much cooking time remains. Alerts may be customized and updated via smartphone apps. Keep your eggs fresh with smart egg trays. Already at the store and can’t remember if you need to buy eggs or not? Smart egg trays can wirelessly connect and sync with your phone to keep you updated on how many eggs you have in the fridge and alert you when you’re getting low. They can also let you know the quality and freshness of the eggs. Using LED lights, the tray will rank eggs from newest to oldest. Do you know which are the most energy-demanding appliances? Making just a few changes or adding a few smart kitchen accessories to your existing kitchen routine reduces your energy use and your carbon footprint. 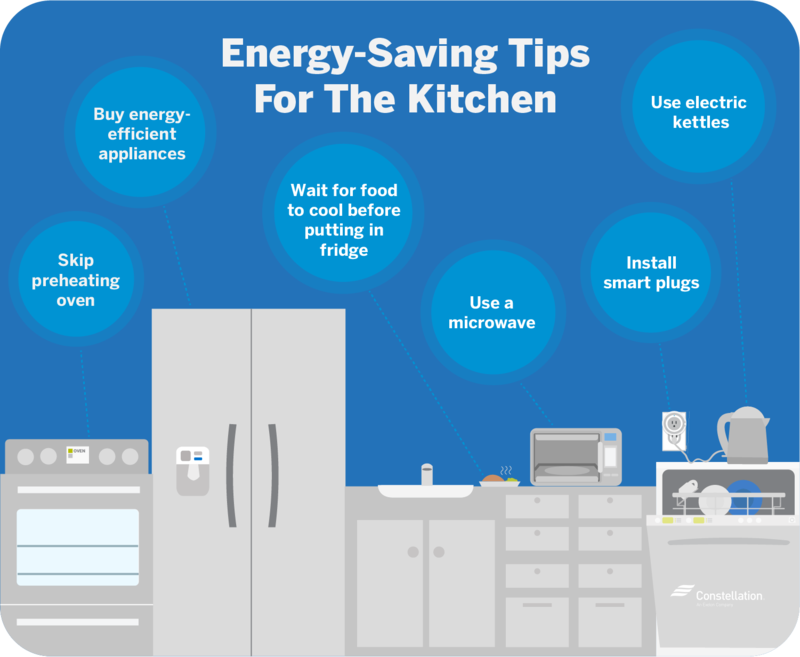 In addition, utilizing these smart-kitchen energy-efficiency tips can help you save even more on your energy use. Buy energy-efficient smart kitchen appliances to save energy. When it comes to buying appliances for an energy-efficient kitchen, there are tons of choices. Manufacturers offer models for all lifestyles and budgets. It’s important to read the EnergyGuide label on any appliance you’re considering purchasing and gauge which products are the most energy efficient. Make any kitchen appliance smart by using smart plugs. Can a smart plug turn on a TV? What about a slow cooker? The answer is yes! Smart plugs are easy to use and can make any kitchen gadget smart. They can function independently, but they will also integrate into home-automation systems. Smart plugs are an important component of a connected kitchen and offer maximum control over energy savings via your smartphone. Use electric kettles to heat your beverages. It may seem like using a microwave to boil a cup of water would be quicker and more energy efficient, but according to Energy.gov, when you add up the wattage, time and energy consumption, electric kettles are faster and use less energy than microwaves. The important thing is not to overestimate how much water you need because that will take more time and energy than necessary. Use a microwave to reheat your food. Microwaves, however, do have their place in energy-efficient kitchens. 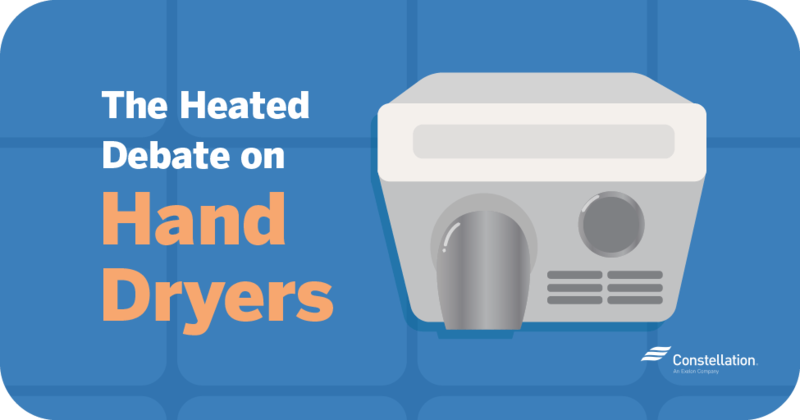 If it comes down to microwave vs. toaster oven, the microwave is the more effective choice. Wait for your food to cool before placing it in your fridge. It’s tempting to put your leftovers away while they’re still warm, but placing warm or uncovered food in the fridge requires the compressor to work harder and use more energy. Instead, store food in small, shallow containers with lids, and wait for your food to cool completely before transferring it to the refrigerator. Skip preheating and save. Our parents and grandparents may have preheated the oven before roasting the turkey, but unless you’re baking cakes or bread, preheating the oven isn’t necessary. According to a study conducted by the National Institute of Health, most recipes need only five more minutes when cooked in a non-preheated oven without compromising food quality. One way to avoid wasting energy with a preheated oven is to cook the food at a lower temperature for slightly longer. Smart kitchen technology is not about choosing appliances with more bells and whistles. By using connected kitchen appliances, you can use your time well and save energy in your kitchen. Smart kitchen appliances and the future of cooking go hand in hand, and by using a customized home-automation system, you can easily manage not just your daily kitchen routine but also your whole home. 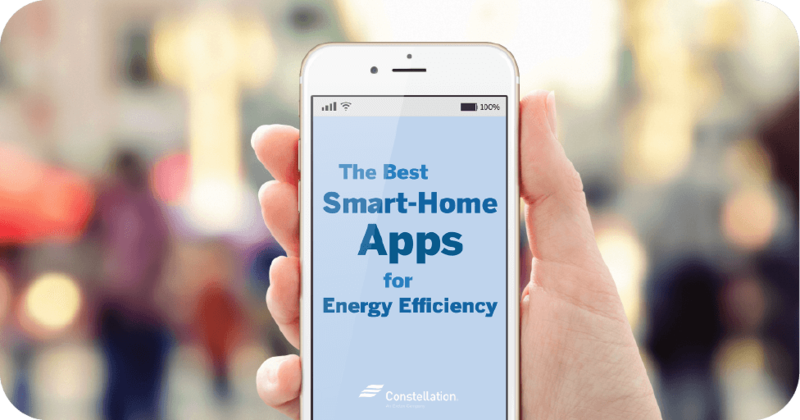 A smart security system like Constellation Connect that monitors and integrates all your smart-home devices and appliances can give you added peace of mind—and make your home even cozier and more restful.